This doe and her twin fawns were munching the undergrowth at the edge of my lawn when I stepped out for my walk today. The lavender blossoms in the foreground are on a clump of mint—about the only plant in Mary's flower garden that the %$#@! deer haven't eaten. Unfortunately, I didn't have my paint gun handy. 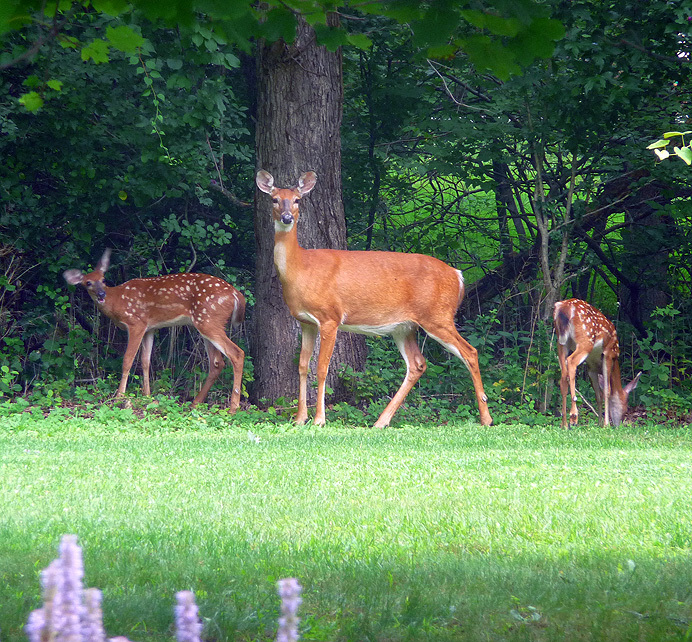 (For more of my thoughts on deer, see June 19 and July 26.) .